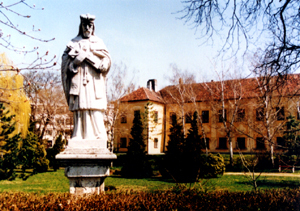 Kapuvár is a small town of 11,000 inhabitants, which is situated along main road No. 85, at the gate of Fertő-Hanság National Park, 15 km from the border station of Pomogy. The settlement was fortified as early as the 11th century and it was the estate owned by the Nádasdy family in the 16th century. 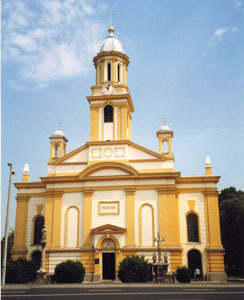 Its monument buildings from the beginning of the 20th century, the eclectic St. Ann church, the baroque castle are popular excursion spots. There are two thermal wells in the territory of the town. Both of them provide thermal water of 70 °C, classified as medicinal water. In the local hospital the diseases of the limbs are treated effectively using carbonic acid gas bath, which is unique in the country. Based on medical research and the chemical composition of the medicinal water it is ideal for bath treatment of chronic locomotor diseases and for treating chronic respiratory diseases inhaled in a pulverised form. FLÓRA Medicinal Bath and Residential Park awaits visitors with its pools and thermal bath in a landscaped territory of nearly 4ha. The indoor bath and the service units, which are open all year round, are situated right next to the open-air bath and the thermal bath. The services include: two thermal baths, chlorine-free gymnastics pool, cold-hot water foot bath, sauna, beauticians, massage, pedicure-manicure, hairdressers, dentist, conference room for 70 persons, buffet. The open-air services include the brushwood hut inhalatorium, as well as swimming and childrens pools awaiting visitors from May to the end of September. Kapuvár provides excellent opportunities for bicycle tourism, too. The bicycle roads are connected to the routes in Hanság, on the shore of Lake Fertő and in Austria. The Istók Hany Bicycle Centre offers a wide range of services and the closeness of nature to visitors. The Information office attracts visitors by organizing cycling, fishing and excursion programmes as well as cultural programmes. 40 bicycles are to hire for tours. In the conference room high standard events, product presentations, economic and other conferences are held. In its community halls you can see the works of sculptor Pál Páczay. In the 2-4 bed guestrooms pleasant relaxation is offered after a long tour. The town is extremely rich in folk, folk art and architectural traditions. The laces from Hövej, the recruiting dance of Kapuvár, the national costume of Rábaköz are deservedly famous. 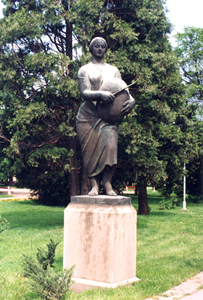 The three-day cultural programme called Days of Kapuvár is held on Ann´s day in July every year. The real festival atmosphere is guaranteed by high standard performances of the art and folk groups of the town, which offer unforgettable experiences to all generations. 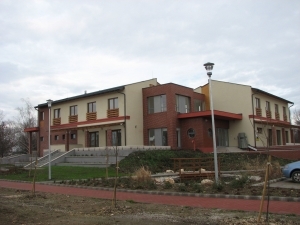 The Community Centre of Rábaköz awaits visitors with theatre performances, concerts, folk dance programmes, festivals of brass and reed bands, literary evenings, exhibitions and fairs.